After getting way too deep into a maintenance project on my ATV and successfully reassembling it with no leftover parts, I decided to bolt up to a friend’s farm and try to catch a sunset. The sky the evening before had been awash in beautiful purples and reds, which I witnessed while riding one of the motorcycles around the outskirts of town. I figured there was a decent chance of some nice colors on this night, too. I wasn’t disappointed. 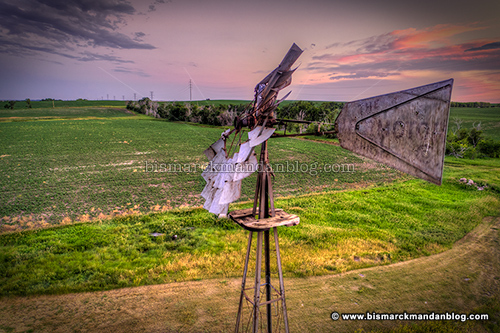 The reasonI chose to dash to this farm was the fact that the head of the windmill looked to have sustained some damage, and I wanted to photograph it before it got worse. I’d had this farm in my GPS literally for years, but never actually asked if I could stop by some time. I’m glad I picked this week to do it! I got a little closer for this shot, but the wind was starting to pick up and cause all kinds of turbulence near the head of the windmill. Things were starting to get rowdy up there, so I decided to play it safe and not fly any closer. This was a fantastic photo trip! 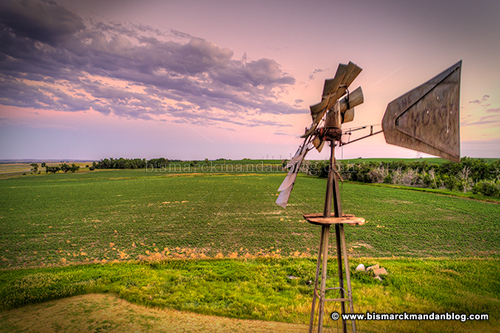 The timing was right, I got to reconnect with a guy who I haven’t been able to chat with in a long time, the skies were good, and the windmill subject has unique character. It will be repaired in the near future, too. 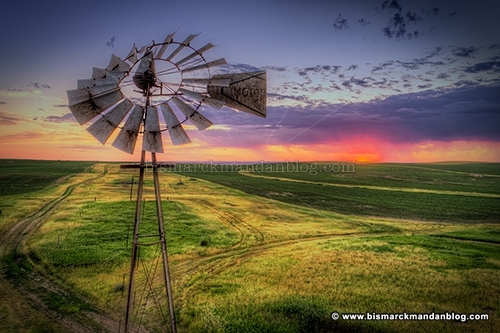 That’sgoodnews ; too many of these old windmills that I’ve photograhed over the years are now gone. I’m glad someone else sees their value and wants to preserve (and photograph) them!